About a month ago I had the privilege to watch CINDERELLA before it was released on DVD. 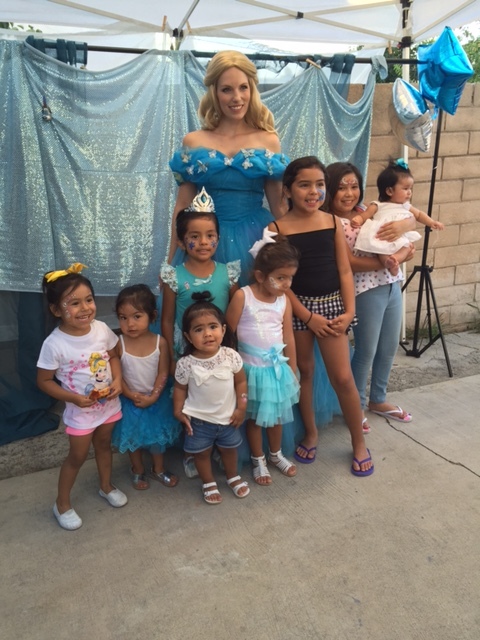 I made a day of it and got all my cousins and their babies together to host a Cinderella themed Cupcake Party. I was previously in contact with Ali, owner of Princess and Me Parties regarding a free one hour party in exchange for my honest review of her services. 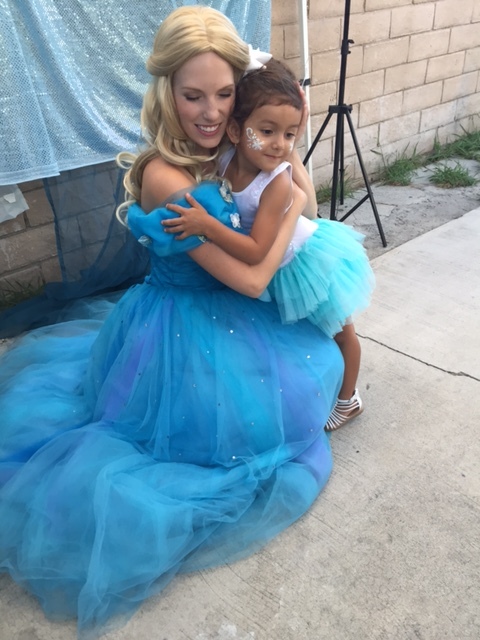 Having her come to our party was the perfect occasion! If you know me, you know that I’m all for keeping the kids entertained. Redundant as it may sound, growing up in a Mexican family, the pinata and cake usually come last. Keeping the kids entertained comes after all the tia’s and compadres have eaten, even though it may have already been hours since the party started. I’m the total opposite. 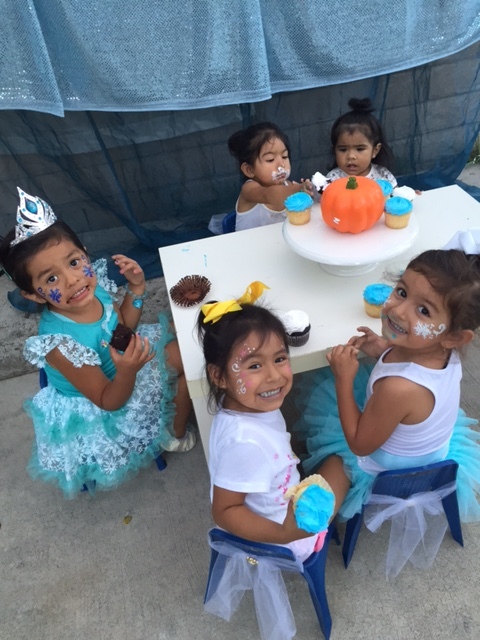 If you are my guest, then I encourage you to make yourself at home, fill your tummy but the kids having lots of fun is my priority and perfect excuse to plan fun parties. The booking process was super easy. You fill out a form with all the information (party date, the character you are requesting, time, address, the number of kids who will be in attendance, etc.). I love in person and over the phone communication, but this process eliminates any room for miscommunication. Ali even sent a picture of the princess I requested to make sure we were on the same page. I requested modern Cinderella and having classic Cinderella show up would have been devastating! Yes, I’m that crazy mom who wants everything to be perfect. On the day of the party, everything went smoothly. 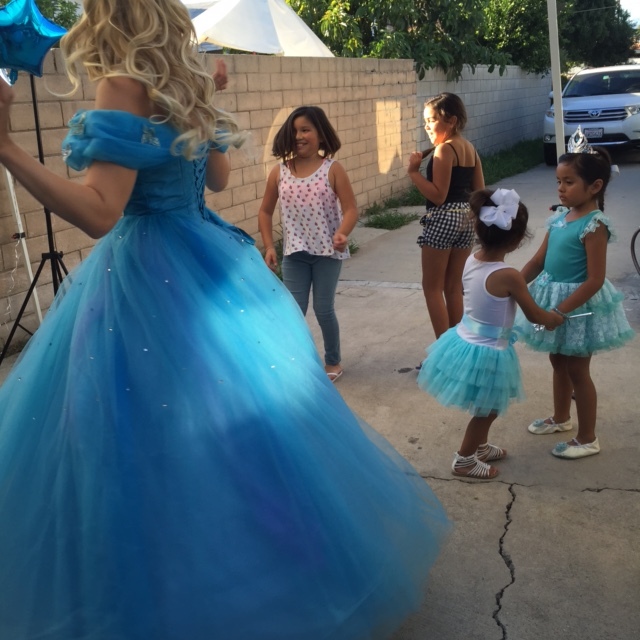 I had booked Cinderella for 5PM and at 4:59 PM on the dot guess who came walking through the driveway to our party? Cinderella! Right on time. All of the girls ran up to her, and she made them smile right from the start. 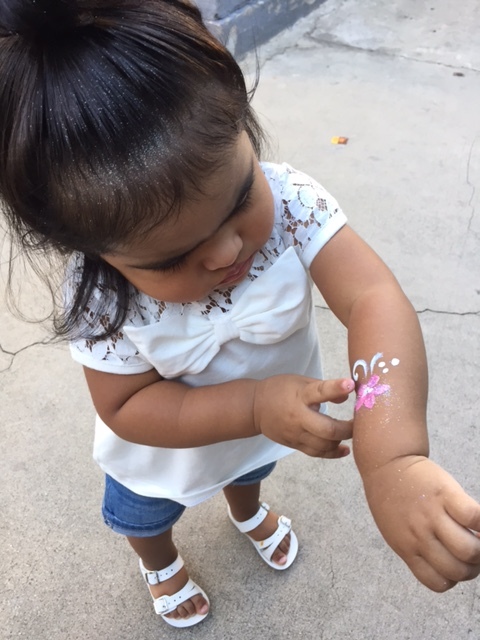 She read a story to them, painted their faces, brought coloring pages to keep those waiting in line entertained, danced, and even took the time to take individual pictures with all of them. I have to commend her for handling all those crazy toddlers! She was professional, sweet and just made the party. Planning a party is time-consuming, hosting a party is stressful and can get expensive. My advice is to spend a little less time and money on trying to make the adults happy and hire entertainment for the kids! 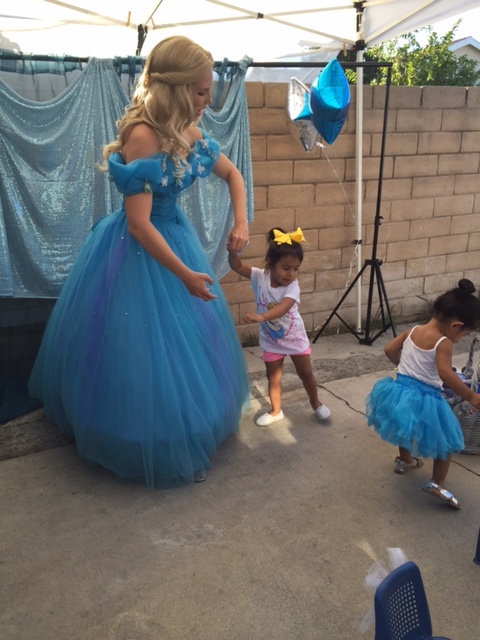 Our Cinderella Cupcake Party wouldn’t have been the same without Cinderella as the guest of honor. So next time you have the opportunity to hang with your family, make a whole event out of it. Pick a theme, a color, a food! The options are endless. And, don’t forget the entertainment for the kids! 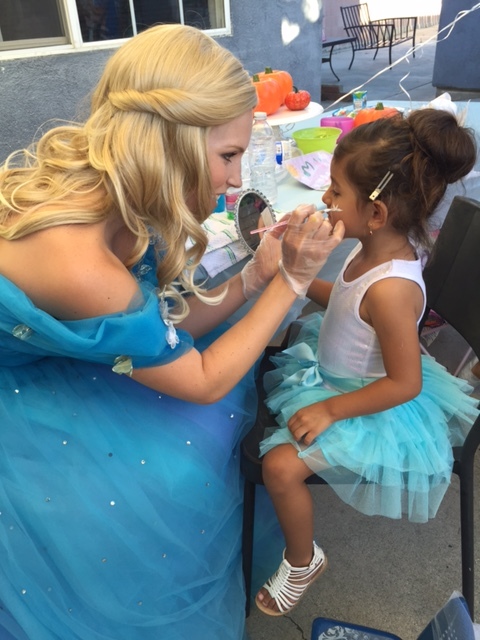 For more information and character options, visit their website at PrincessAndMeParties.com. Follow them on Instagram & Facebook.